With the start up scenario booming in India, the word Venture Capital (VC) has also gained currency in the present economic scenario of India. Venture capital refers to money provided by investors to startup firms and small businesses with perceived long-term growth potential. It is a very important source of funding for startups that do not have access to capital markets. It typically entails high risk for the investor, but also has the potential for above-average returns. Once a startup reaches its growth stage, its most important requirement is undoubtedly the backing by reliable investors and an ample amount of funding to scale up. In the Indian context, though the concept of startups has gained momentum recently, the number of investors willing to show their trust and invest in new ventures has remained small. The numbers are worse when we look for women investors and venture capitalists. The 2015 Gender Gedi Female Entrepreneurship Index ranks India a dismal 70 out of the 77 countries included, with a score of 25.3 per cent. This index measures a country’s potential to encourage and fuel the development and growth of female entrepreneurship. The numbers clearly indicate a low potential for Indian women in this respect. Keeping this disparity in view, some women investors have started taking initiatives to change the picture. Let us take a look at the list of the most active women institutional investors and women led venture capital initiatives in India today. In a first of its kind in India, two women investors, Ankita Vasisth and Usha Amin, teamed up to start a woman-only investment fund, named SAHA Fund. An electronics and communications engineer, Ankita went to Cranfield School of Management in UK and did her masters in Finance. She has worked in organisations like Aureos capital (Abraaj group), Tholons Capital and Tholons Consulting before founding SAHA fund. Both Vasisth and Amin started the fund with a view to address the scarcity of investing platforms which aspiring women entrepreneurs could approach. SAHA fund invests in startups founded by women entrepreneurs, or employing more that 50% woman in team or working on a product and service for women. It plans to invest in companies across e-commerce, social media, mobile, cloud, analytics, education, healthcare, food tech, and tech platforms that would leverage digital. SAHA has already made some major investments, which include Kaaryah, Fitternity, Stelea Technologies and Joulestowatts, all of which are leading startups by women entrepreneurs. Early-stage investment has more to do with gauging the ability of an entrepreneur than with the potential of a business idea. Bharati Jacob, co-founder and Managing Partner of Seedfund Advisors, an early-stage venture capital firm, knows that very well. A graduate of Wharton School, Jacob, 52, believes that her gut instinct to understand an entrepreneur is her biggest strength. A way to assess an entrepreneur’s ability to cope with pressure, Jacob says, is to check the way they react when one challenges his/her assumptions of the market or customers. Jacob has over 27 years of experience in venture investing, marketing and financial services. Prior to Seedfund, she was a Principal at Infinity Ventures, a pioneer in Indian early stage investing, and before that she established and held the P&L responsibility for the Southern operations of Investment bank Lazard India. Her vast experience has given her an understanding of the Indian market and an ability to help entrepreneurs achieve the product-market fit. Her abilities gel well with Seedfund’s objective to cherry-pick companies that solve India-specific problems. Seedfund has so far invested in 35 companies. The biggest return for the venture fund till date came from its maiden investment in CarWale.com. If you are even a wee bit familiar with the venture capital investing space in India, it is hard to miss out on one name in particular, Vani Kola, founder and Director of Kalaari Capital Advisors. Born and educated in Hyderabad, Vani got her bachelor’s degree in electrical engineering at Osmania University and then left to get a masters degree from Arizona State University, spending 22 years in the US. Kola co-founded Kalaari after successfully building and selling two companies, Certus and Rightworks in Silicon Valley. In 2006, she returned to Bangalore, founding Kalaari Capital Advisors in 2006 to create an early-stage venture ecosystem in India. To date, Kalaari Capital Advisors has funded more than 50 companies in India. Vani focuses on technology companies, leveraging India’s domestic growth to create high growth enterprises. No wonder, she has been identified as one of the top 10 entrepreneurs in Silicon Valley, and was listed as one of the most powerful women in Indian Business by Fortune India in 2014. Shweta Singh & Presha Paragash are founders of Sol Primero, an early stage investment firm dedicated to partnering with ambitious entrepreneurs addressing large opportunities that require innovation. Both of them are Wharton MBA graduates, and also have 5 years of investment banking experience at UBS Investment Bank in London. Shweta has also worked with the restaurant discovery platform, Zomato, in the International Operations team where she oversaw the launch of the business into several new geographies. In 2014, they came together to set off in a new direction, launching their own investment firm Sol Primero. Till date, it has invested in startups such as Cubito, Curofy, JustRide, Zostel and Plabro to name a few. Priyanka Agarwal and Anshulika Dubey, are ex-McKinsey consultants, who in 2012 co-founded Wishberry, a crowd funding website based in India. Priyanka is engineering and management graduate from Wharton and Anshulika is an English Literature graduate from Miranda House. The platform mainly accepts creative projects for film, music, theatre, dance, photography, art, design, comic and other publishing. It allows people to pitch their projects to friends, family, fans and everyone else out there who can contribute funds for their projects. Wishberry has raised over INR 3.5 Cr. for 150 projects, from more than 8,500 funders across the world. Contributors on Wishberry get rewards in return for their funds, such as VIP access to the project launch and early adopter discounts. In January this year, it raised INR 4 Cr. funding from group of investors including Shankar Mahadevan, Google India’s MD Rajan Anandan, Sharad Sharma, and other angel investors. Nita Mirchandani, is a founding member and Director at KAE capital. She has been self employed since 1994. Earlier she has worked with HDFC Securities and JM Morgan Stanley primarily in the area of Equity Research. She has also served as the Commercial Executive of the Dempo Group. Nita has a Masters and Bachelors in Economics from London School of Economics and Bachelors in Economics from St. Xaviers College of Arts & Science, Mumbai. KAE Capital invests in those companies which bring out innovative solutions for existing gaps in the markets. They believe in identifying and building large companies even from a concept. In October 2015, eight high-profile women of India Inc came together to establish an angel fund to support women-led startups. 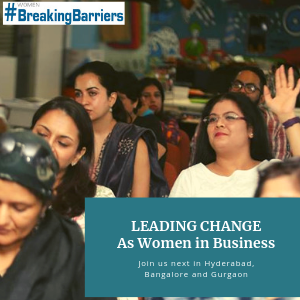 Among the eight are serial entrepreneurs Lathika Pai and Shoba Purushothaman, Sejal Gulati, MD of Time Inc India, Vaishali Kasture, former MD of Goldman Sachs, Sandhya Vasudevan, MD of Deutsche Bank India Global Services, Anju Shenoy, HR head of Visa, Dipali Shah, former board member of Pepe India, and Mimi Parthasarthy, founder of financial advisory firm Sinhasi. The fund is modelled on the lines of Golden Seeds, one of the largest angel networks in the US. The eight women leaders have each committed between Rs 10 lakh and Rs 25 lakh. The investors realised that sometimes women entrepreneurs are diffident and do not know how to begin a startup. Many of them don’t have time to go out and network. 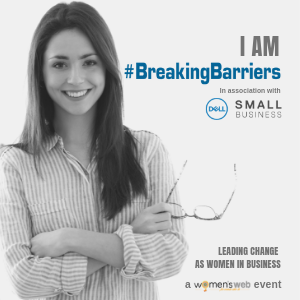 So they wanted to create a platform to bring these women entrepreneurs on board. Pai and team are looking to build a corpus of Rs 10 crore to begin with that will be invested in the next 2-3 years. “It’s not a question of just writing a cheque, but to mentor companies and create an ecosystem,” said this forum of women investors about their venture. Image source: venture capital signpost by Shutterstock.